You can read the first chapter of Free to Focus here. We're so excited that Michael's new book is coming out on Tuesday! It's called Free To Focus: A Total Productivity System to Achieve More by Doing Less and today you're getting to listen to the first chapter here on this bonus episode of Lead to Win. Also, as a special extra bonus for our listeners, we’re giving away five bundles of Michael's best-selling books, Your Best Year Ever, Living Forward, Platform, No Fail Meetings, and Free to Focus. For your chance to win, share this podcast episode on social media with the hashtag #FREETOFOCUSBOOK. We’ll announce our five winners on the podcast on April 9th. So tune in next week to see if you’re one of our five winners. This episode is brought to you by the new book Free to Focus. To pre-order and receive $498 dollars in free bonus content, visit www.freetofocusbook.com. What’s your biggest distraction? Be honest! For us, there’s no question about it—our biggest distraction is ourselves. Too often, we find ourselves responding to text messages or jumping from low-priority task to another instead of tackling more demanding work. Increase your frustration tolerance so resist the temptation to bail on a task. Wean yourself off of dopamine, brain chemical that produces a momentary high when checking messages. What’s the best way to recover from a whirlwind of a day? How do you get the leaders you manage to take more responsibility? What’s the right number of goals to set in one year? Michael and Megan answer these and more questions from our listeners. Learn how to set expectations for your team members. Understand why setting too few goals is as bad as having too many. Get helpful tips for keeping work discussions from invading family time. Find out how to gain joy in a position that doesn’t totally suit you. See how the Full Focus Planner compares to the Getting Things Done methodology. Make sure to visit http://leadto.win for complete show notes. What would be possible if you were able to conquer your fear? Megan Hyatt Miller gives five simple actions that will help you conquer the fear that holds you back and tackle your most most audacious goals this year. This episode is brought to you by www.focusedleader.com. Leaders never have all the help they need. But most of us have an aversion to asking for it. It invasive an awkward to ask for a favor. But it doesn’t have to! We’ve got 5 simple tips that will enable you to get more help—for free. Use them in your business, and you’ll never feel awkward about asking for extra effort again. You’ll gain the help you need to achieve your company’s goals, and you’ll create a happier workforce in the process. Healthy terminations make for a healthy company. Leaders inevitably must fire people occasionally. The problem is that most of us hate conflict and shy away from confrontational situations. That makes terminations incredibly stressful. But it doesn’t have to be. We’ve identified three simple guidelines that will help you turn a termination into a win for your company—and even for the person you fire. Use these in your business, and you’ll never shy away from managing performance again. You’ll gain the confidence you need to prune your workforce so it achieve at an even higher level. This episode is brought to you by LeaderBooks. For more about this episode, a complete transcript of the show, plus other helpful links, make sure to visit http://leadto.win. For more information, visit leadto.win. Learn how to push back on coworker demands. Understand the three most important tools for bouncing back from a setback. Find out how to influence workplace culture—even when your boss is not onboard. Gain the confidence to surrender control of tasks to an administrative assistant. Get practical advice for balancing business demands with a growing family. Learn how to lead a meeting with people who don’t want to be there. Leaders dream big. But too often, our greatest goals get lost in the whirlwind of daily tasks and interruptions. Today, we’ll give you three simple practices that will ensure your goals stay on track all year long. You’ll avoid the pain of seeing your biggest goals slip through your fingers - and you’ll feel satisfaction at seeing steady progress until they're finally achieved. For complete notes and related articles, visit leadto.win. High achievers love the start of the new year and the prospect of new goals. The problem is that fresh enthusiasm can evaporate with the holiday cheer. Diving back into the whirlwind can be stressful and frustrating. We don’t think your goal achievement should fluctuate with the seasons. In this episode, we reveal a simple five-step plan that will launch you into the new year with focus and energy. Listen to this podcast, and you’ll avoid the January goal slump, and make 2019 your best year ever! The holiday season has often been associated with giving. But generosity isn’t a one-and-done kind of thing. It’s best to think of generosity as a habit or a lifestyle. Researchers have discovered a paradox—those who give receive back in turn. In this episode, we find out how a generous lifestyle can affect your happiness, bodily health, purpose in living, avoidance of depression, and interest in personal growth. We all miss big goals occasionally. When that happens, it can be lonely and embarrassing. It’s tempting to simply forget about the failure and move on. When that happens, we miss a key learning opportunity. In order to achieve in the future, we must become excellent students of our own failure. Michael and Megan reveal the four most common reasons for goal failure, and how to fix them. All of us, especially leaders, want to make positive change in our lives. But we’ve tried and failed many times. Today, we’ll show you why New Year’s resolutions are a flawed system, and how to set achievable personal goals instead. You can avoid that sick feeling every January, and create a new habit or achievement that will change your life for good. #050: Do You Have an Upper Limit Problem? Leaders have big goals, but most of us have at least one limiting belief that keeps us from achieving them. Based on years of coaching leaders, we’ve identified the three most common limiting beliefs. You might just see yourself in one of them. For more, make sure to visit www.leadto.win. Learn four secrets to help you engage in the lost art of civil discourse. For complete show notes, visit leadto.win. It’s easy to assume that the benefits of gratitude are primarily external. But the latest research reveals that thankfulness offers major payoffs on our side of the equation, too. Discover the advantages of gratitude—and specific practices to harness them—in this week’s episode. Learn a foolproof strategy for meeting deadlines so you can deliver your best results on time, every time. Learn five simple steps that will ensure your new product will succeed in the marketplace. Michael and Megan reveal four secrets for creating a high-purpose, high-energy team by connecting people to the thing they want most: a sense of purpose. Michael and Megan help you silence your inner critic once and for all so you can bust through your upper limit and finally accomplish the big achievement you've been dreaming of. Michael and Megan unveil the free Business Health Assessment online tool and offer practical tips for business growth through a live coaching call with a business owner. Michael and Megan give a guided tour of the collaborative workspace at Michael Hyatt & Co. to show how your office design can enhance team focus, collaboration, and productivity. Tired of dealing with office drama? In this episode, Michael and Megan show you how to boost productivity by heading off the drama in your company before it starts. Online marketing guru Amy Porterfield shares how “megabatching” transformed her business. in this bonus episode, captured live at the Achieve Conference, you’ll discover how to multiply your productivity by re-imagining the shape of your day and week. Presented by Free to Focus. As a top executive and mother of four, Meg has mastered the art of taming a chaotic calendar. In this episode, captured live at the Achieve Conference, she shares three steps for protecting your highest priorities. When we’re done, you’ll have the complete confidence to manage your most important priorities and become fully present wherever you are. In this episode, Michael and Megan arm you with practical tips for lighting a fire under the most lethargic teams. You'll learn what works (and what doesn't) in motivating your team to achieve. If you're a leader, chances are good you're making too many decisions. In this episode, Michael and Megan show you how to make faster, better decisions—by making fewer of them. In this episode Michael and Megan expose the three critical errors leaders must avoid in order to make high-leverage choices with confidence. Michael and Megan give a behind-the-scenes look at the latest live event focused solely on productivity. In this episode, Michael & Megan put the fun back unto leadership! Learn why every leader should practice a hobby, sport, or creative pursuit at least once a week. Find out how much non-productive "fake work" is costing your business—and 3 surefire steps to eliminate it! In this BONUS EPISODE, Michael & Megan share highlights from their sabbatical experience and reveal secrets for making the most of your time away. Learn the secret to getting exactly the result you're looking for in any business process. Michael and Megan show you exactly how to overcome unseen obstacles to productivity so you'll be less stressed, more focused, end each day with a feeling of accomplishment. While Michael and Megan are on a July sabbatical, we've hand-picked a few of the most popular episodes of the podcast for you to enjoy. Every leader manages a whirlwind of commitments, appointments, and deadlines. Sometimes it seems as if we’re one step behind. In this encore episode, we’ll show you the three basic tools that will enable you to manage your day. Plus, give practical tips on coordinating your calendar with an executive assistant. In this BONUS EPISODE, Larry Wilson talks with Michael Hyatt's Executive Assistant, Jim Kelly, about all the ninja tricks and travel apps he uses to plan Michael's travel masterfully. You can check out the links to items mentioned in this BONUSODE on the show notes for Episode 32: Taking the Stress Out of Business Travel. Weary of being a Road Warrior? Michael and Megan share inside tips and tricks for taking the stress out of business travel. Learn how to arrive refreshed, relaxed, and ready to get down to business. Michael and Megan tackle the three biggest objections to taking extended time away from work. You'll get the practical guidance and encouragement you need to take a break and recharge. Why is curiosity an essential skill for leaders? Michael and Megan take a deep dive on the value of asking questions, including the three most important questions every leader must ask. Can you trust your gut? Michael and Megan identify three critical factors for making great decisions. Most leaders are unaware of the power of their own words. In this episode, Michael and Megan reveal how the words you speak actually reprogram your own thinking. You'll learn how to shape your success by taking control of your thought life. Michael explodes the "Hustle Fallacy" in this high-energy presentation delivered at LeaderCast 2018. Discover the three amazing ways that slowing down helps you get more done. Michael and Megan discuss everybody's least favorite business activity—meetings. Find out why Michael now loves meetings, and the three secret hacks that will transform your meetings from mind-numbingly boring to highly productive. Michael and Megan reveal the secret to keeping top performers engaged and focused. Learn how to manage the tensions that keep your top talent operating at full capacity. Does your leadership style smother your team, or set them free? 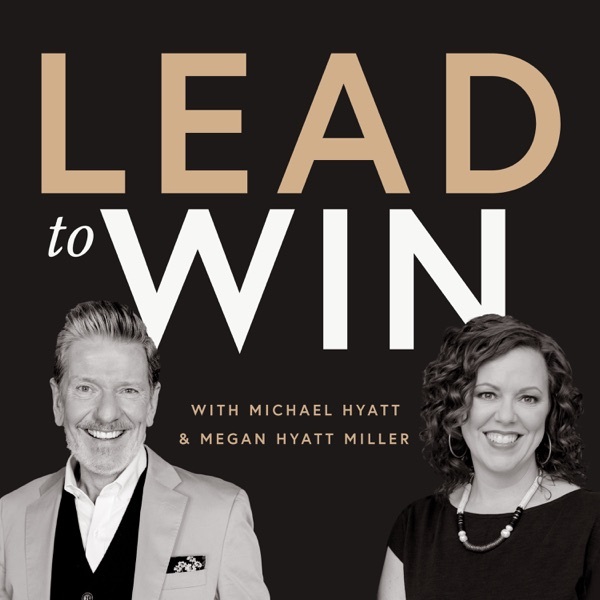 In this episode, Michael and Megan show how some leaders unwittingly allow a toxic culture to derail their team's success—and what to do about it. Michael and Megan reveal the three secrets to flawless calendar management. Learn how to avoid getting caught in the whirlwind of deadlines and appointments and have time for your most important priorities. Most leaders lack self-awareness, which has been called the “meta skill of the twenty-first century.” In this episode, Michael and Megan equip you to practice the most effective means of self-reflection in less than 20 minutes a day. Michael and Megan discuss the productivity solution that everyone knows about but few people use effectively. You'll learn that this tried-and-true technology can help you avoid over-priced solutions that don’t work and regain your focus on your most important goals. You’ll also hear from David Sax, author of The Revenge of Analog on why older technologies are making a comeback in the digital age. Michael and Megan discuss the one leadership principle they probably didn't teach you in business school. You'll learn the practical ways a leader's behavior is copied—and amplified—throughout an organization, and gain insights you can use right now to establish a winning culture. You'll also hear from Christian Miller, author of The Character Gap, on exactly how good character profoundly affects personal happiness and success. All leaders want to be successful, but sometimes we face situations that pit our desire for results against our values. In this episode, we’ll help you recognize that temptation and equip you to do the right thing when it’s costly. By doing so, you’ll avoid doing damage to your organization and your reputation—and you’ll build a lasting legacy of success. We've been on hiatus for the month of February. Here's what you can expect beginning next week. For more information, visit leadto.win. There’s just no substitute for vision. When we have a compelling, unifying view of the future, and when we’re able to communicate, it can motivate people to accomplish astonishing things. And those who lack vision, well, they’re just “unready” for the challenge of leadership. In this episode, we explore the importance of vision to energize and motivate our teams. We all like feeling happy and settled. But those pleasant feelings can plateau your growth. Big goals are bound to stir up less pleasant emotions. Namely, fear, doubt, and uncertainty. In this episode, you’ll learn to see those feelings as the welcome committee to your best performance—and pick up some valuable tips to beat them. Our success as leaders often comes down to one thing. Not our planning. Not the market. But, instead, the conversations we lead. When stakes are high (and emotions even higher) you need a solid game-plan. In this episode, we break down a three-phase strategy for winning with your next crucial conversation. In today’s job world, burnout is a constant threat. Email and smartphones keep us constantly connected. Worse still, we lionize leaders who never rest. Famous CEOs tout 80-hour workweeks and we wear busyness like a badge of honor. Join us to discover the causes of our overwork obsession—and its cure. We live in an instant culture. But if we limit ourselves to fast and easy, we miss out on any wins that require patience or persistence. Honestly, most big wins fall into that second category. In this episode, we’ll share three practices to extend your frustration tolerance and boost your stamina for long-term success. Effective leadership involves a commitment to personal development. Unless you continue to grow alongside your business, it will eventually outstrip you. Or worse, stagnate behind you. If you want to avoid that, join us now to explore the three behaviors of high-growth leaders. Plus: We hear from Ray Edwards on the top five benefits of including reading in your personal development plan. What trumps education, skills, charisma, and even talent? The surprising answer: self-awareness. A study from Cornell found self-awareness to be the “strongest predictor of overall success” among top leaders. Discover why it’s so important—and how to cultivate it for yourself. Subscribe now to get new episodes starting on 10/17.